Redpath was very diligent in helping us map out our business process from end-to-end. They asked very good questions to make us think how we are currently operating in the business and to think about what changes can be made. Post-implementation support was kind of disappointing because we were assigned a different project manager which didn't seem to have a good grasp of the decisions that were made during the initial requirements gathering period. They listened to what we thought we wanted, and made recommendations to take our organization's vision for marketing automation even further. Our consultant took a very large undertaking and organized it into very manageable projects. Client services and project management was excellent - there was nothing I didn't like about my experience. What Salesforce Consulting solution do you use? Knowledgeable team that got to know our business. Nothing comes to mind. I would recommend them to anyone looking for this type of help. "If you need Salesforce expertise you call Redpath"
They were so responsive to every question and need we had. They are so smart that sometimes they talked over my head. RelationEdge helps companies implement, customize and integrate Salesforce, and provides ongoing services and support to continually adapt the platform to meet changing business requirements. Code Zero is a cloud-focused consulting, IT development, and software integration provider. Algoworks is a global outsourced IT Services company and our business is to make the offshore strategy work for ISVs and software enabled companies. NexGen Consultants delivers innovative, custom Salesforce solutions that transform the way you do business. CloudSocius provide high performing, scalable Salesforce solutions. Soliant Consulting creates custom made software in FileMaker, PHP, and Salesforce. Helping nonprofits go faster and go farther with @Salesforce. * We monitor all Redpath reviews to prevent fraudulent reviews and keep review quality high. We do not post reviews by company employees or direct competitors. Validated reviews require the user to submit a screenshot of the product containing their user ID, in order to verify a user is an actual user of the product. Hi there! 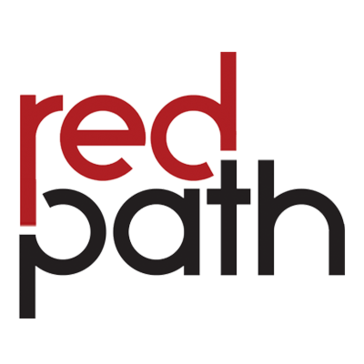 Are you looking to implement a solution like Redpath?